Sometimes when listening to Washington DC politicians squawk, deceive, propagandize, and scam it's helpful to look at certain progressions issuing from America's natal horoscope (using July 4, 1776 5:10 pm LMT Philadelphia, PA today) for an updated snapshot of what we as a nation of leaders and citizens have evolved into, or the point of progress we have reached. The combined energies of the Mars-Saturn duo also relate to potentials for military power, use of strife and struggle, persistent wars, frustration for or by criminal elements, demands to halt armaments (ex: North Korea which says its missiles can now attack Americans--the people = Moon--jc), continued military actions under political or other restrictions, an obligation to use force when restraint is called for, ambitiously taking the property of others, and/or an older enterprise which becomes angered. In April, the SP Mars-Saturn = SP Moon picture will perfect (25Lib48) and be at its strongest concerning 2/8 and 3/9 house matters, if it expresses at all. That last sounds like the ongoing influence of the Uranus-Pluto Cardinal Square with its generational challenges as old guard (Pluto) blocks and is blocked by Uranian rebels and whippersnappers of a 'radical reform' nature. And I'm certain that you recognize players like old-guard Senators John McCain and Lindsay Graham being none too pleased (so they say) with the likes of Senator Ted Cruz whose physical and rhetorical resemblances to insinuating Senator Eugene McCarthy are uncannily reminiscent of the McCarthy era's *paranoia when mere mentions could sink a politician's career. 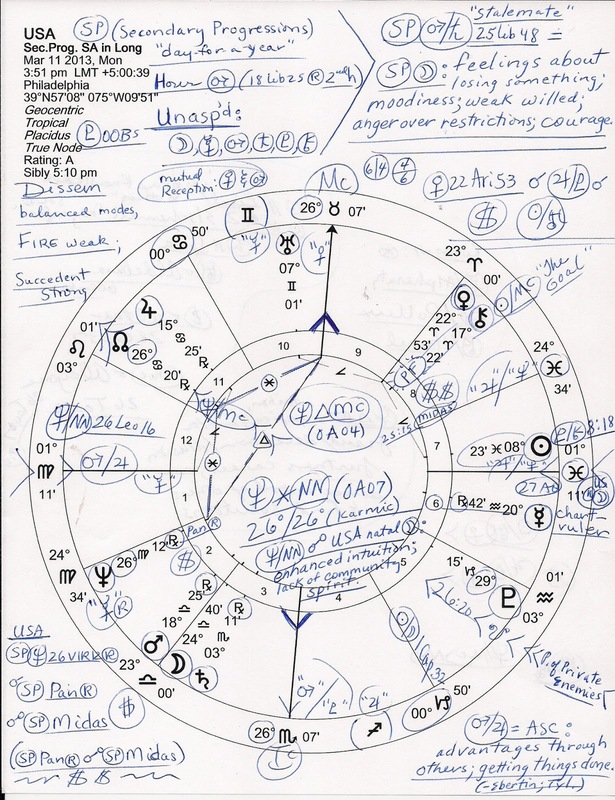 Hour of Mars Rx (@18Lib25 in 2nd hou$e), and chart-ruler Mercury @20AQ42 is also Rx so right away we know there are delays and frustrations afoot; Neptune and NN are in karmic degrees ('fated' = reaping what was sown)...26Cancer/26Virgo, so they are sextile one another along with the 26-degree MC/IC security/domestic scene axis; the Neptune-NN midpoint opposes US natal Moon in Aquarius...Neptune-NN = Moon: enhanced intuition; lack of community spirit. Neptune trines MC denoting that illusions, deception, fraud, and possibly inspiration or intuition are used to further career and our nation's public status. You see SP Uranus @7Gem01 in the public 10th house which, along with US natal Uranus, has been so recently visited by transit Jupiter indicating that political, social, academic, and/or financial gains can be or have been made by those who have the opportunities afforded to them. 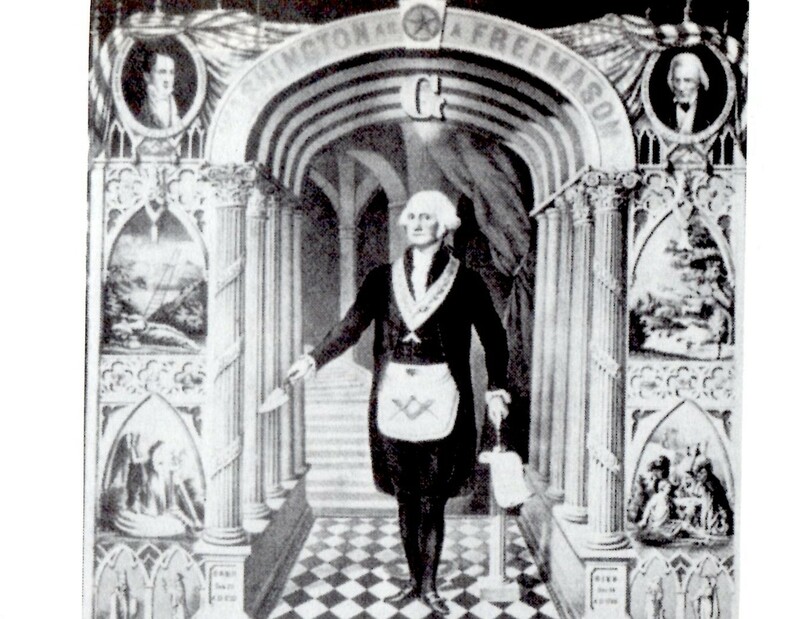 However, SP trickster Pan Rx and SP wealthy gold-hoarder Midas oppose one another (although in 'real time' they've been traveling in tandem for the last few years--in Gemini conjunct US natal Uranus and tr Jupiter)--and Pan Rx conjoins US SP Neptune in the 2nd house of the National Treasury. Plus, for more economic destabilization, we have the inflationary, scheming Jupiter-Neptune pair ruling the 8th house of Shared Resources, Debt/Credit, and Corporations by way of its murky Piscean cusp. 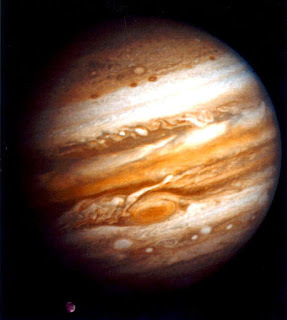 And SP Jupiter @15Can25 Rx continues to lodge upon the Pentagon's natal Ascendant making 'sequester cuts' to America's military budget difficult to have faith in (for me) though its Rx condition relates to US natal Jupiter's Rx Station of 1905--pre-WWI--when our nation's Jupiterian functions became inverted and crabbed by war, war-profiteering, high-interest loans for waging war that benefit international bankers, and an ideology that expands in spite of what befalls those haplessly encountered within its path. 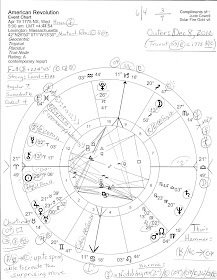 The critical/crisis-degreed Pluto (29Cap) in 5th house of Speculation and Risk-Taking is worrisome, of course, for Underworld Pluto of The Syndicate remains as he's always been in US charts: out-of-bounds and working on his own in isolation (ex: an ivory tower, a distant vantage point.) And with US SP South Node of the Moon nearby @26Cap20, war and violence continue to be what our 'leaders' fall back on as they march our nation toward its destiny while riding the currents of public moods and opinions as befitting a Neptune-NN sextile yet managing to avoid such shifting cultural trends within their own lives, as they generally desire. This avoidance is accomplished by subtle evasion rather than by direct confrontation and/or honesty. Try to get a direct answer to a fair question from a well-practiced politician! 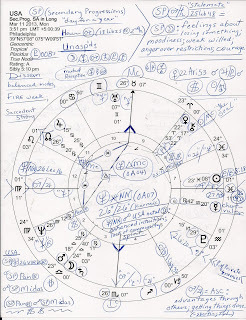 Now there are many other chart factors active in America's current Secondary Progressions especially when transits and Solar Arcs are considered but I shall trust you to check things out if you wish and leave a comment with this post, if you may! *Paranoia is easily felt and exploited whenever nebulous, gaseous Neptune floats through its own sign of confused and confusing Pisces.